Variable costs are costs which change with output. As output increases the firm needs to use more raw materials and employ more workers. These costs vary with changes in the output. 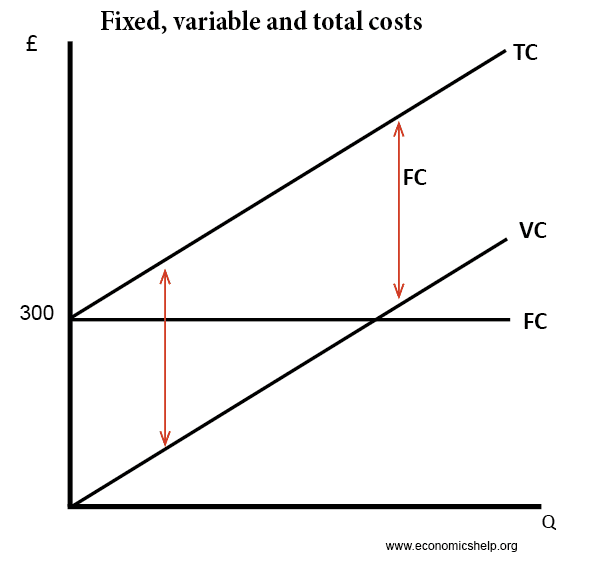 Variable costs exclude the fixed costs which are independent of output produced. I.T. fees. Some production will have variable costs, with firms charging a percentage for each transaction. For example, Paypal or credit card companies may charge 2% of final sale. Shipping fees. The cost of delivery for items. Tax. Some firms are responsible for paying VAT, excise duty or sales tax – related to the number of goods sold. Variable costs and fixed costs make up total costs. 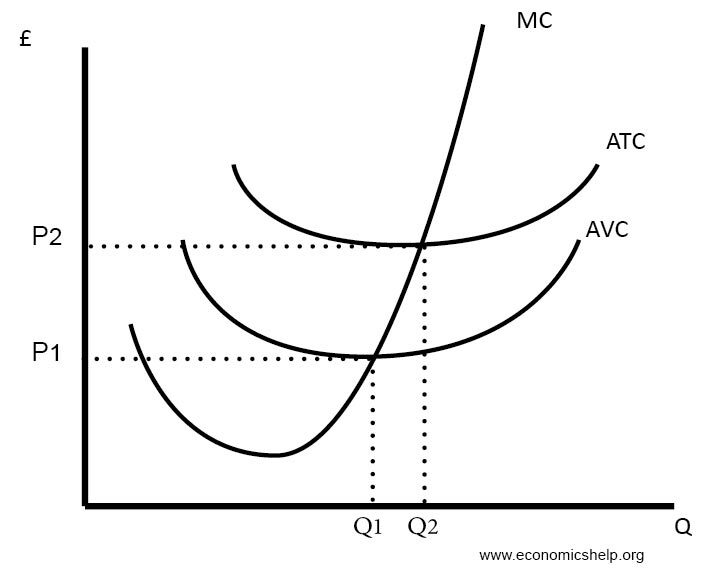 In the short-term, average variable costs may be u-shaped due to the law of diminishing marginal returns.